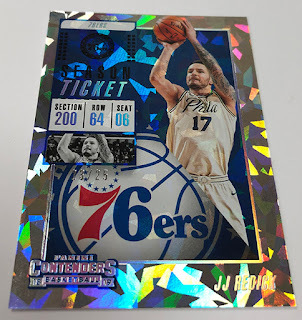 Last year, Contenders NBA Basketball took the basketball collecting enthusiasts by storm with a winning combination of clean design, optichrome technology, and just the right number of highly collectible parallels. 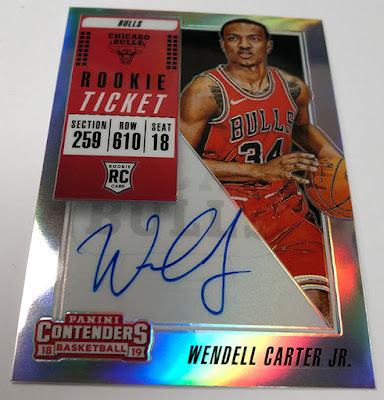 2018-19 Contenders Basketball ($164.95 per box), a Rookie Ticket-tinged, parallel-powered powerhouse of a product featuring what promises to be some of the most in-demand Rookie Cards of the season arrives Wednesday, December 26th at Sports Cards Plus, a.k.a. The Super Hit Factory. 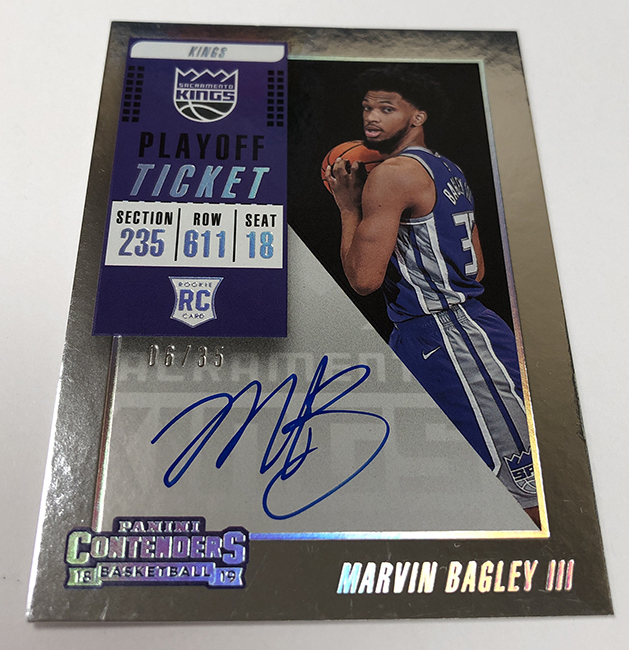 Taking a page from its more-established football sibling, 2018-19 Contenders Basketball delivers a wealth of hard-signed Rookie Tickets with a complete arsenal of parallels, including Premium Optichrome, Cracked Ice, Playoff and Printing Plate versions. 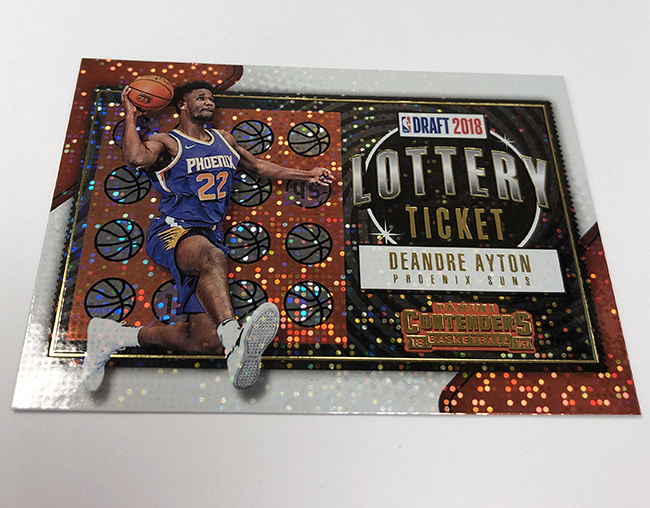 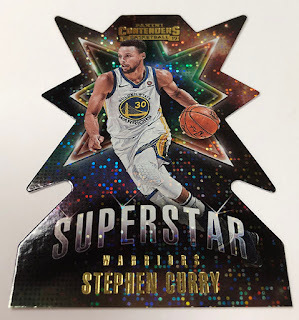 On average, each hobby box of 2018-19 Contenders Basketball (10 cards per pack, 12 packs per box) will deliver two autographs and a vibrant array of inserts from a roster that includes the dynamic Superstar die-cuts and Lottery Ticket.